Something a little different this month...instead of just one item all four of these gorgeous goodies are my October Prize! 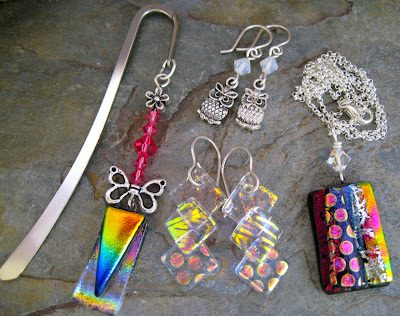 Every purchase from my etsy shop during October gets you an entry into the draw for these fabulous dichroic and charm items. 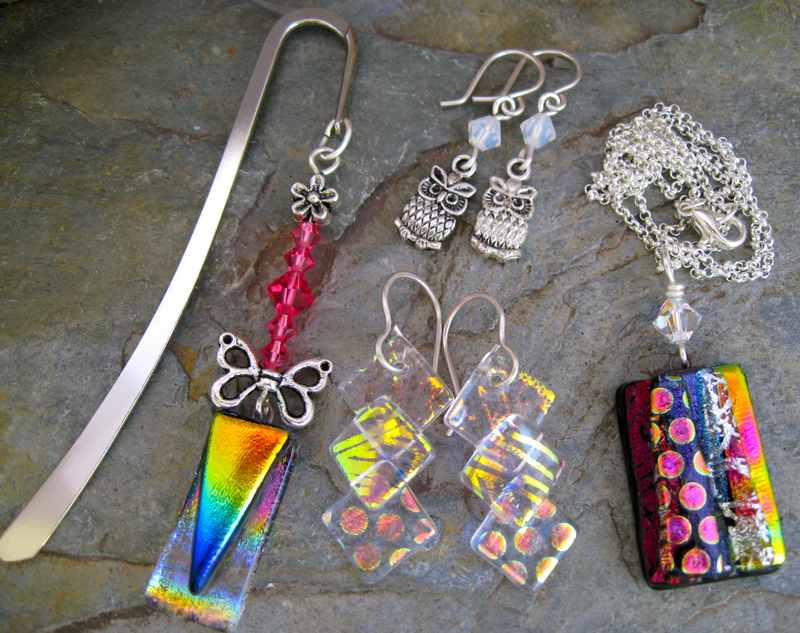 October Prize consists of a pair of dichroic translucent earrings and pretty Owl earrings (both with Sterling Silver handmade wires), a dichroic glass bookmark, and a pretty dichroic & swarovski pendant and necklace. The winner gets ALL of these! Every on-line purchase from me during October from my Etsy shop gets you an entry into the draw for this prize. The drawing will take place on the 1st November, and I shall be using random.org to find the winner.